Healthy eating is a worldwide trend. The quest for beauty and wellness encourages the consumption of natural products, which has increasingly more space on shelves and consumer demand. Our products are natural, regulated and recognized quality, intended for functional nutrition. They are not drugs and therefore they can be sold and consumed by anyone. Our line includes commercial products with names that differ from competitors. We have a quality control and hygiene within the standards required. Our packages are produced with materials and design suitable for food and contain all information needed by the consumer. 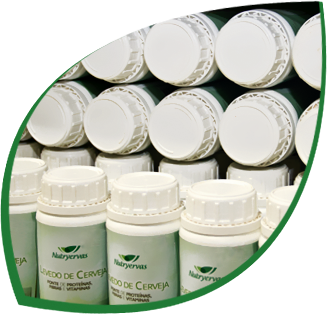 Our products can be sold in health food stores, drugstores, gyms´ convenience stores, spas and aesthetic clinics, among others. For these reasons, Nutryervas products have a good market potential, providing differentiated options and good profitability for dealers. We want you as a partner. Contact us or register. Nutryervas also offers the opportunity to resell its products by catalog, ensuring comfort and convenience to its customers throughout Brazil. To resell, you can choose to work at a free time and have an extra income, or to devote full time and make it your new business. To be a reseller and get a profit is very easy. Contact us to learn more!